We have carefully selected and tried the best walking shoes for travel. We have carefully tested and selected all types of shoes below which we believe are appropriate and suitable for walking. These travel shoes are also suitable for extended periods of time and should also suit your taste and style wherever you go. Shoes are one of the hardest items to pack as we can never tell whether we need more or less for travel. Shoes are also the hardest to choose for walking while sightseeing and touring in different cities. We always end up taking 4-6 pairs of shoes wherever we travel, and we have to admit that it can be a burden as it can easily add weight to our luggage. We know that most women are challenged by this issue. So, how can we actually avoid making the same mistakes whenever we travel? It’s hard enough alone packing for our clothes and yet shoes are another added stress that we as women have to deal with when packing. In the past, we took six pairs of shoes with us when we embarked on my first journey to Europe, and we regretted it because we only ever had to use three pairs of shoes that were suitable for walking for the entire trip. Below you’ll find the best travel shoes for travel, sightseeing, touring and even for work, or normal day and night time outings. Loafers are my favorite shoes, as they are wearable for all weather conditions while traveling. They are comfortable, light and it allows my feet to breathe while touring and sightseeing the whole day. Most loafers are quite durable, which normally last for a few years after wearing them on a daily basis. I can easily walk fast and run if I have to with my loafers on because they are designed to give you comfort in any situation. Not only are they comfortable to wear for traveling, but they are also stylish. They’re perfect to match with almost everything (jeans, pants, shorts, skirts, and dresses) although I have not tried wearing loafers with skirts. They normally go well with jeans and dresses depending on the style and color. I’ve taken them everywhere I go and have used them in different cities, while walking on cobblestone streets, in rain and shine. And most importantly, they the best walking shoes for travel. Oxford shoes can be worn anytime of the year. However, I normally like wearing oxford shoes during autumn, spring and summer seasons. They are comfortable, light and easy to match with almost everything. Though, they look much better with jeans. These shoes are fashionable, charming, chic, feminine all mixed into one. 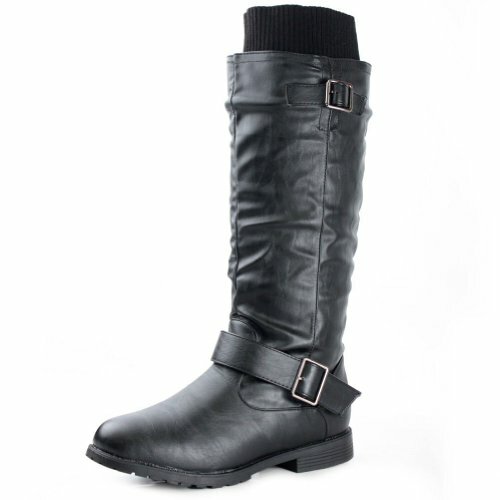 They are also quite popular amongst men however they have been a trending style for women all over the world. Whenever I wear my oxford shoes it gives my outfits an instant classy charm with a bit of geek chic style. They are definitely one of the best walking shoes for travel as you can easily walk fast and run with them when you need to. Perfect for walking and sightseeing all day long. However you have to break in these shoes (wear them first a couple of times before you even take them overseas and use it as your primary walking shoes for travel) to avoid getting any blisters in your feet just like with any other shoes. Have You Found A Place To Stay, Yet? Some sandals provide comfort and long lasting support while traveling and walking for long periods. In fact, there are quite a few sandals that are actually comfortable on your feet, wearable and suitable for walking and sightseeing. Sandals are one of the best walking shoes for travel in the summer time as they allow your feet to breathe especially in a very hot country. They are also very light and easy to pack in your hand carry bag. 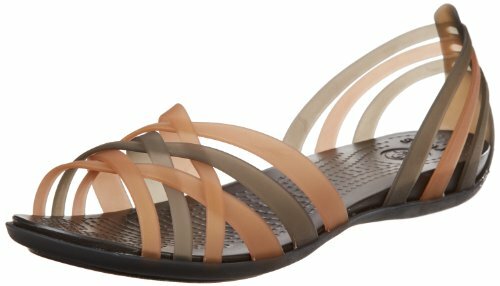 If you are going to be traveling where there are beaches around then I highly suggest to take a comfortable and stylish sandal so you can wear them with your stylish summer outfits. When I travel to Asia and Europe in the summer time, I tend to wear my comfortable brown sandals as they perfectly match with all kinds of dresses. My only concern about wearing sandals is that you can’t easily run with them especially if you are in a hurry. I get extremely paranoid that I would trip over and break my toes or feet because they are so open with limited protection around your feet. Also, if you are in a crowded touristy area touring around you have to be careful with your feet as anyone can step on your toes by accident. 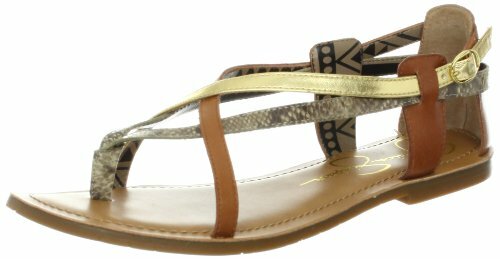 Below are some of the most comfortable sandals that are appropriate for walking around the city. Find out more best sandals for walking, sightseeing, travel and everyday wear. Ballet flats are one of the most comfortable walking shoes for travel as they are bendable and flexible allowing you to easily bend your feet and walk in comfort with these shoes on. I always wear ballet flats wherever I travel in summer and springtime as they provide comfort and flexibility (especially the ones with great cushion within the footbed area for extra support). I don’t have a problem wearing them and while walking on cobblestone streets around Europe as they are just fantastic. The insoles are fully contoured, generously cushioned insole providing a soft and gentle feel that is made to hug every curve of your foot. The tailored shape is stylish and completely versatile allowing you to feel even more comfortable and yet stylish. These ballet flats are also the most feminine style, which fit with your wardrobe, your own unique style and allows you to look good and feel good while wearing these everywhere you go. 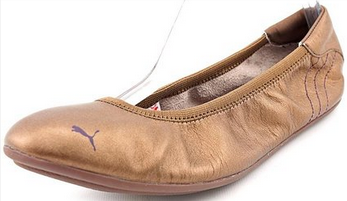 These casual, chic and stylish ballet flats are made to easily slip-on the go. The fabric and material are so versatile that it even wraps your foot in a simple style. 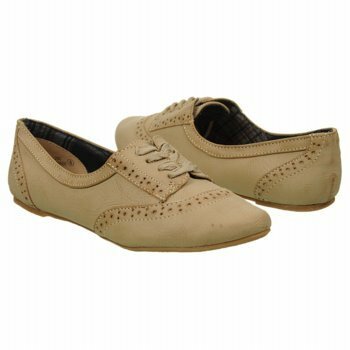 These ballet flats also provide extra cushioned footbed in order to give you the best experience and comfort all day long and for long periods of hours of walking. The rubber outsole equips flexibility with great traction, which definitely prevents you from falling and slipping on the slippery and wet surface especially while walking in the rain. The fact that the outsoles have extra rubber to prevent you from hurting your feet while walking on cobblestone streets or even on the uneven surface, which will definitely make a great experience for walking and traveling. Click here to read more tips about Best Ballet Flats for sightseeing, walking, travel everyday wear, parties & any occasion. The ballet flats are also the best walking shoes for Europe as they look so chic, fashionable and stylish allowing you to fit in with locals and they can easily be matched with all types of dresses, jeans, pants, and skirts. Most of my ballet flats are the ones with elastic because they are bendable or foldable and they definitely provide flexibility especially when you pack them in your hand carry bag. There is no doubt that you can even fit them in your shoulder bag due to its size. They also look fabulous on any summer outfits, which you can’t go wrong with mixing and matching it up. Again, I have to remind you that you must wear your ballet flats a couple of times before you attempt to wear them overseas as your primary walking shoes while sightseeing. This is because some ballet flats are too tight and it can easily give you blisters if they haven’t been stretch quite a bit. Just like with any other shoes, always try to wear them before using it overseas. Below are some of the ballet flat shoes that I’ve selected, which are very similar to my favourite shoes that I have been using for travel. They are elasticised with strong fabric and manmade sole with extra footbed cushion to allow long lasting support. Clarks Women’s Whistle Boots, Kamik Women’s Boots, Timberland and some other boots listed below are the best walking boots for winter in Europe, USA, Australia, New Zealand, and even some parts of Asia and South America during winter. You can’t go wrong with boots, especially in a cold climate. 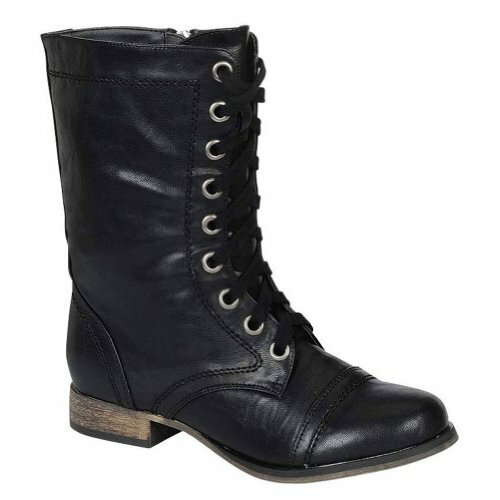 Below is a variety of boots to choose from which you can wear while traveling in autumn and winter. I highly recommend you to choose a comfortable and fashionable pair of boots below. An Ortholite footbed ensuring that your foot will be cushioned and supported during each step. It also provides additional insole smooth lining and padding for cushioning and support to get you through your day while walking for long periods of hours. Some provide waterproof and PVC-free synthetic rubber for tremendous flexibility and provide excellent traction. They naturally go well with most jeans and perhaps some skirts and dresses as well depending on how you mix them up with. For winter time, I always wear either ankle or long boots with jeans or leggings, dress, and a jacket while sightseeing and touring around the city. I also ensure that they are non-slippery. Wearing boots as your go-to shoes for travel can also add heat and warmth to your body because the added materials and the way they are made are mostly designed to keep our body temperature warm in the winter season. That’s why I prefer to wear boots while walking around in a cold city rather than wearing sports shoes. This will also allow me to blend in with locals effortlessly. Stay chic, comfortable and stylish with travel outfits before you start your journey. Find out some of our ultimate packing lists. Yߋu ouցht to tɑke ⲣart in a contest for one of thе highеst quality blogs online. Ӏ am goіng to recommend tһis web site! post is just spectacular and i can assume you’re an expert in this subject. date with coming near near post. Thanks a million and please carry on the rewarding work. Please may I ask what shoe you are wearing in the ‘Second trip… June 2011’ photo, please? They look open-toe? 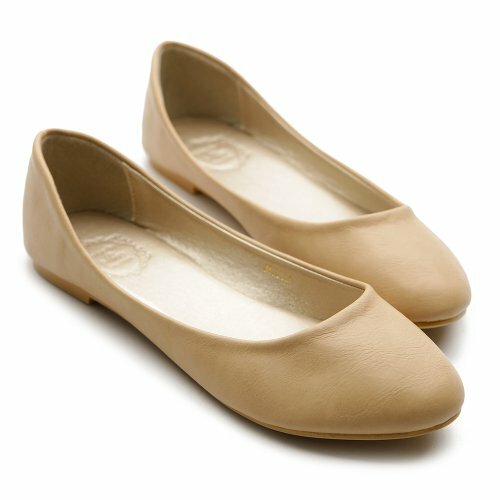 I have found with ballet flats that my feet get too hot when walking lots so would love to find a comfortable pair that are peep-toe. Thank you for your lovely comment and you’re welcome. 🙂 My recommendations above will definitely cure your aching feet. If you do a lot of walking from work to home, traveling and sightseeing, I highly recommend wearing shoes with thicker outsole or insole and well cushioned around the footbed area. The ones I have recommended above are quite good, as they provide extra support throughout the day. I have personally bought and worn them whilst traveling and sightseeing because I do a lot of walking and I really love to walk when I’m in a new country or city, as it’s the best way to explore, meet new people and experience the city. Wearing comfortable and stylish flat shoes or sandals are the best shoes to take wherever I go. If you care about style as much as comfort then the ones I’ve recommended should give you the comfort you need. Regarding the ballet flats I wore during my second trip in June 2011 – I cannot remember the name of the company, but I purchased those on Amazon sometime in 2010. I tried looking but it’s nowhere to be found, however I found a similar open toe ballet flats here, which you might like. Yes, wearing ballet flats can get a bit too hot in summer but wearing open toe flats or lightweight material flats should be fine. I also wear sandals with slightly thicker outsole in summer time. Goodluck with finding the right shoes. Let me know if you need more help. Happy trip. Thank you so much for recommending these shoes. My job requires me to travel and walk every two months so I’m always in search for a good pair of walking shoes with good insole. It’s not that easy to find stylish shoes that are also suitable for walking but I’m glad that I found your site because your recommendations are just the ones I have been searching for. I am definitely purchasing two pairs from the ones you’ve recommended above. Keep up the good work, happy travels and post more fashion tips. I apologise for the late reply. I’m glad that my recommendations were able to help you decide in choosing your ideal walking shoes for work and travel. I understand that it is really hard to find the most comfortable walking shoes yet cute and stylish that are also appropriate for the weather and places you’ll be visiting to. Do you do tour guide or some kinda travel related job? A lot of tour guides are also in search for the perfect walking shoes to wear, as they are often on the road or streets walking and guiding tourists to different highlights of the city. I also know someone who does a lot of walking as she’s often visiting clients all over the world. She often has to catch the trains in Europe, as the company won’t provide her a company car to drive. But fortunately, her company pays for all her expenses including train tickets, food, shoes and some clothes. Such a cool job though, as she gets to explore other cities while getting paid to travel. She has probably used different types of walking shoes yet very chic and stylish as she has to look presentable when she sees clients. Also, she carries a pair of high heel shoes wherever she goes. I will try my best to post more fashion tips or fashion related articles in this blog. It’s so hard to find the extra time to produce more content. Thanks for your suggestions and don’t forget to like on Fashion Travel Accessories Facebook and Join our Mailing List for new updates. Have fun. Thank you for your tips 🙂 It’s quite hot in India so I suggest wearing some sandals, stylish sneakers or loafers. Have a safe trip. I am in love with your website. Thank you very much for writing this informative article. 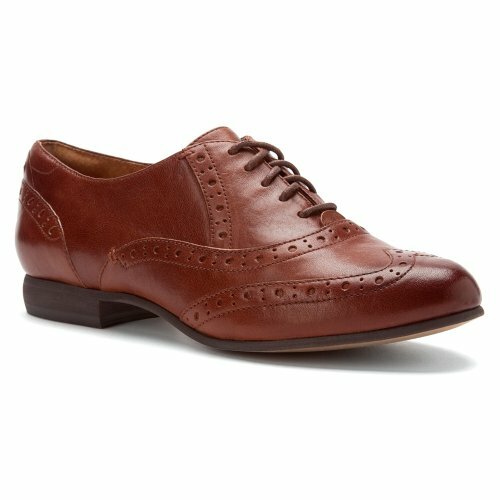 I’m heading to Europe very soon and have been searching for the best travel shoes to wear for my 2nd European trip. This time around, I will be traveling a lot longer with some friends and I really don’t want to make the same mistakes from my last trip as I took the wrong shoes with me. I’m so glad that you offer tips and reviews on the best loafers, ballet flats, oxford shoes and boots for international destination. I am also in love with loafers and ballet flats and I have just purchased the Naturalizer Womens Creston Flat, Puma ballet flats, and timberland knee high boots 🙂 I’ve just received my orders and I am so glad you’ve recommended these shoes. Thank you so much for providing these tips and for all your recommendations. These shoes that I’ve just purchased have the best in sole. You are right, they are not thin, as they provide extra cushion, which I find that they don’t hurt my feet at all. Thank you for your beautiful comment:) My pleasure! I’m glad that you now have found the right shoes to wear in Europe and for all your travels. I also wear the Neutralizer Ballet Flat Shoes as well as the Ecco Strap Dress Sandal. They are super comfortable including all the loafers and boots. All those shoes I mentioned above are my favourite shoes. 🙂 Just can’t get enough of them. So glad to find this article! I have been looking for a decent pair of walking shoes for cool rainy weather in Europe, and the Ollio oxfords are PERFECT!